Lock in a great price for The Malvern – rated 8.6 by recent guests! Loved the heated outdoor pool and sun loungers and the breakfast was fantastic. Spa facilities were excellent. Friendly and accommodating staff. The pool is the saving grace. Hotel needs a freshen up. The exterior part of the spa pool at night. Nothing else. 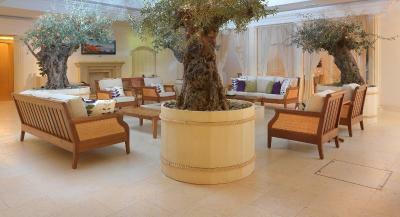 Very nice new modern hotel located above a health club and spa facility. Rooms were very comfortable with luxurious bedding. There is a large indoor/outdoor hot pool - it's mineral water but chlorinated. 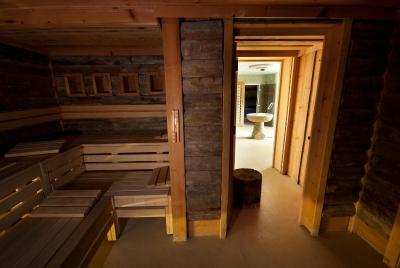 Lots of areas for relaxing, saunas and steam rooms were complimentary for hotel guests. Additional spa services could be booked. Many people were there for a spa break. We found the mineral waters an excellent way to relax after a busy days. The Malvern This rating is a reflection of how the property compares to the industry standard when it comes to price, facilities and services available. It's based on a self-evaluation by the property. Use this rating to help choose your stay! 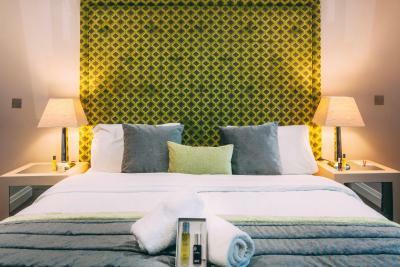 The Malvern, is a AA rated 4-star hotel that offers spa and wellness facilities, an extensive range of relaxing and holistic spa treatments, and a brasserie and restaurant. Designed with adults in mind as a place of well-being and relaxation, The Malvern features polished Jerusalem marble floors and state-of-the-art spa and fitness facilities. 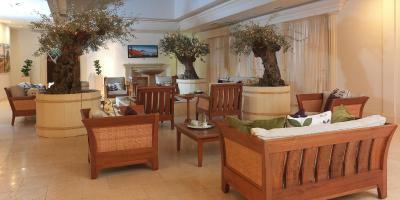 A range of ESPA and ELEMIS treatments, holistic therapies, and locally sourced organic food are offered. 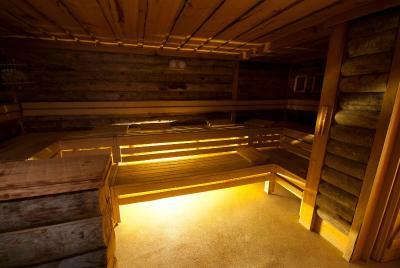 Facilities include the hydrotherapy pool, filled with Malvern’s natural running waters, a “Sauna of the Senses”, “Herb Sauna” and “Crystal Steam Room”. An exercise studio complemented by an outdoor terrace. Just 45 minutes from Birmingham, you can easily replace stressful city life with lush green countryside, open space and a breath of fresh air. 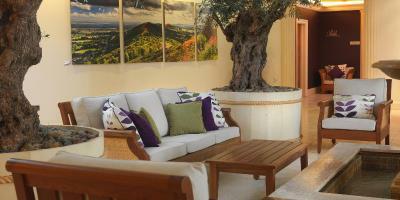 When would you like to stay at The Malvern? 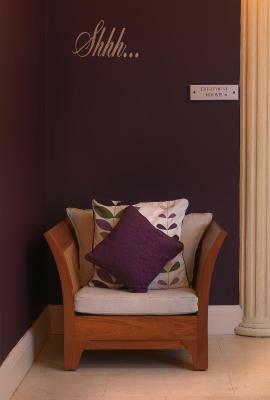 House Rules The Malvern takes special requests – add in the next step! The Malvern accepts these cards and reserves the right to temporarily hold an amount prior to arrival. The outside spa was something special me and wife had a great 3 days there. Couldn’t contact spa before leaving for break as I needed help to organise a few items for a birthay treat. Absolutely loved the stay here! The facilities are brilliant!! Couldn’t fault it in any area. Also the food was absolutely spot on! Amazing place definitely recommend it to anyone also I’ll be going back! Door handle was slightly broken Bed linen smelt unwashed Flush weak power The control dial in shower was the opposite, you had to turn to the right to get colder water and the dial said that was the way to get hot water ! Location - on an industrial estate. Reception not always staffed. Expensive evening menu. Foot spas not working. Spa - inside / outside pool. 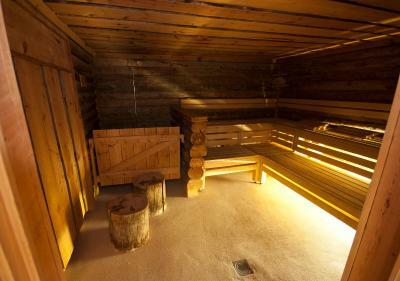 2 saunas. 2 steam rooms. Bucket shower. Good breakfast. Location, helpful owners and staff, breakfast amazing and excellent choice if you didn’t want a cooked breakfast. 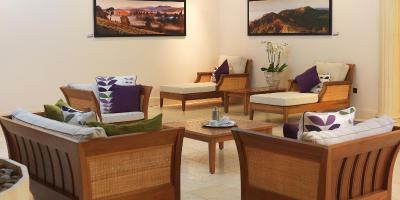 The facilities were excellent and the staff were very helpful and courtiest. 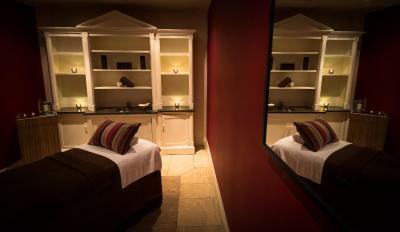 The spa and relaxed atmosphere. No fridge in the room, if I have to be picky! 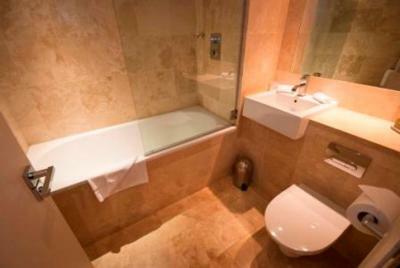 The hotel is comfortable with great spa facilities. 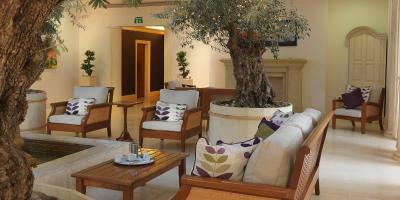 Friendly helpful discreet staff make for a thoroughly enjoyable and totally relaxing break. We love it ! This was our 16 th visit which should be proof ! Breakfast was limited and not that great. Could of been given a tour of the spa area. The spa area is really nice. The room is tidy. Car park far too small.